Program #STES002. Recorded in Worcester, MA on February 27, 2014. 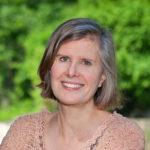 Sandra Steingraber is a biologist, professor, writer and environmental health expert. She is a leading voice alerting the public to the dangers posed by fracking. She is the author of Living Downstream: An Ecologist Looks at Cancer and the Environment and Raising Elijah.